Button-front shirt featuring spread collar and short sleeve,all over printing. Since the material will be slightly shrunk after washed,if u prefer loose fit order one size up than tag size. Great for summer vacations like camp,luau,cruise,sun beach ect. Mens Casual Slim Fit Zip Up Varsity Baseball Bomber Jackets. NO machine wash .Wipe the metallic side gently with a damp towel. 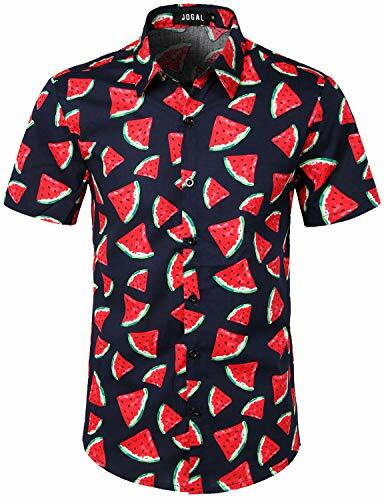 NightClub Party Shirts,Suit for casual/Costume/Stage Performance/adult party/Disco/christmas/halloween party. 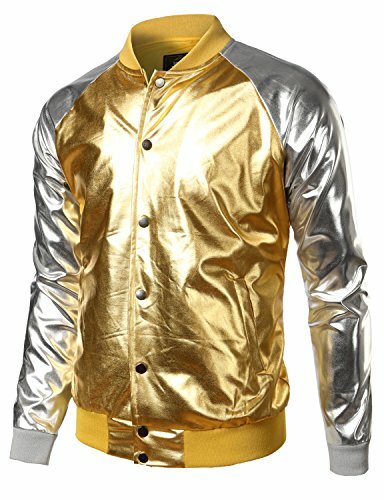 Slim Fit, Lightweight,Shinny under light,Mild Waterproof(non breathable fabric) and Rib-Banded Collar Cuff and Hem, Long Sleeve,Two Side Pockets,Zipper Closure Varsity Baseball Bomber Jackets. And it is good jackets for the change of seasons.